Our recommended continuous-duty oil-free rocking piston air compressors are the highest performing piston compressors available. They are the perfect choice for aerating small ponds, sending air to mixing diffusers or dock bubblers or deep lake applications. Each pump comes equipped with noise reducing intake air filter, pressure relief valve, 6-foot power cord and thermal overload protection. 30 psi max continuous duty, 1/4 FNPT outlets. Heat resistant outlet hose(s) are included. The 1/4 HP pump has a single outlet. The smaller 1/2 HP pump has two independent outlets and the larger 1/2 HP unit has a single air outlet.. 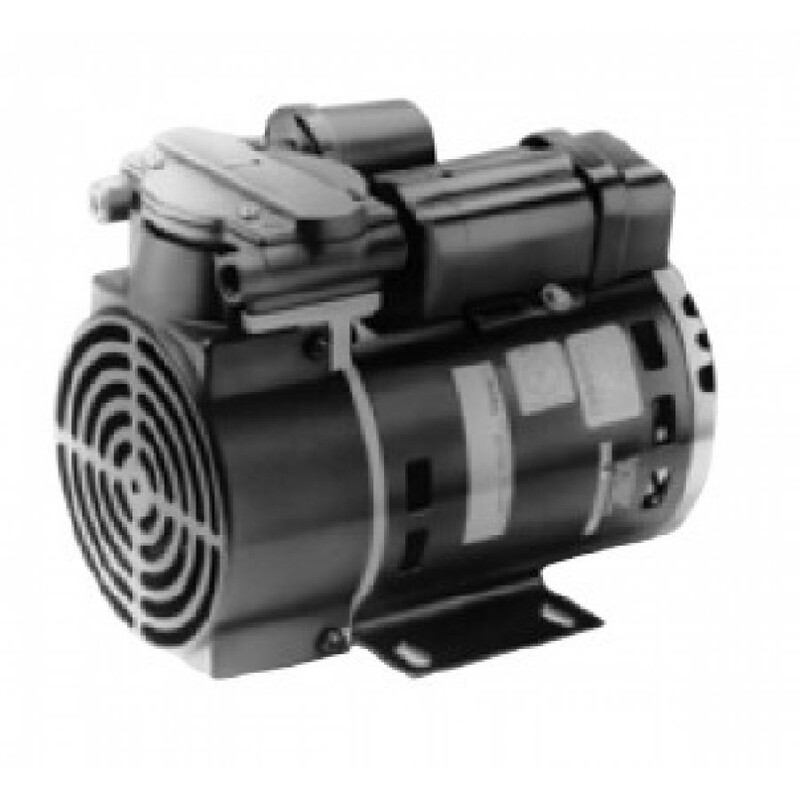 This 1/4 HP pump has a single air outlet, 3.9 CFM at 15 PSI. 30 PSI Maximum Continuous Duty - Outlet hose with barbed connector is included - 6 foot power cord - Air inlet filter with replaceable filter felts included - Pressure relief valve included. 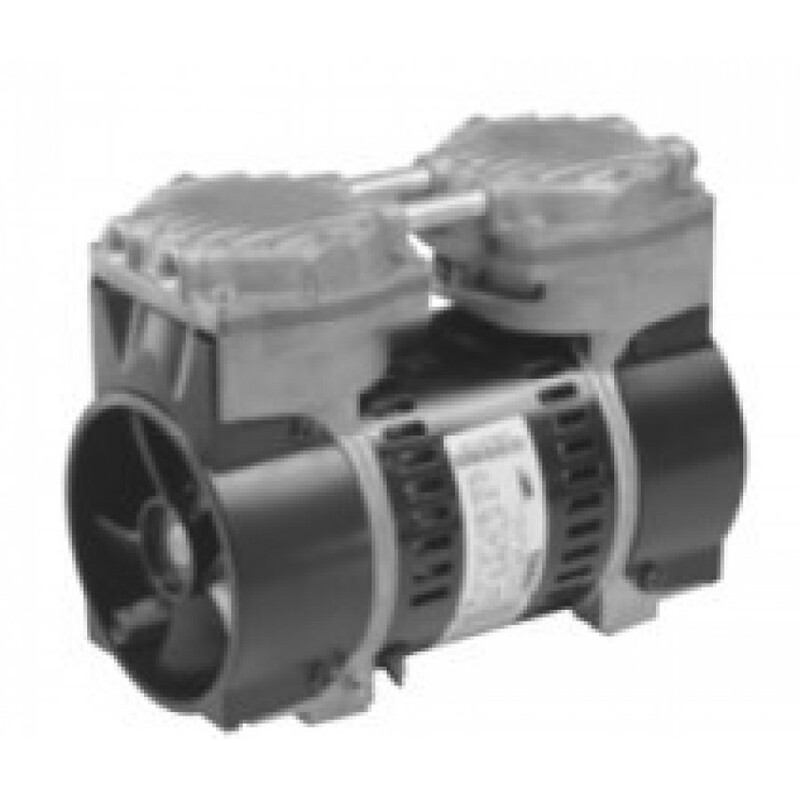 This 1/2 HP pump has two independent air outlets, one per cylinder. Each cylinder head will be equipped with a separate air outlet hose meaning you can run two diffusers off the same air pump without using a splitter valve or manifold system to split the airlines if you need to run mutiple lines off a single pump. 30 PSI Maximum Continuous Duty - Two outlet hose with barbed connector included - 6 foot power cord - Air inlet filter with replaceable filter felts included - Pressure relief valve included. This 1/2 HP pump has a single air outlet, the two cylinders work together to provide 3.9 CFM at 15 PSI. Clean air filters quarterly and replace the piston cup and valves (included in repair kit) every two years. Optional outlet hose assembly is 2 feet long with brass 5/8" barb (compatible with 1/2" nominal tubing); two are required and are optional, for the dual cylinder unit. 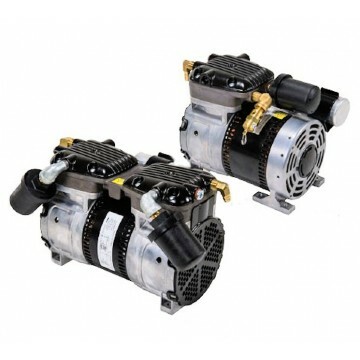 One-year warranty on compressors. Keep your compressor in a shed or build a ventilated box to keep it out of the rain and snow. 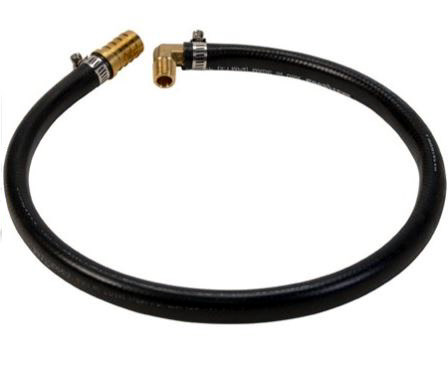 The air outlet connects to the outlet of the compressor and has a heat resistant hose with a 1/2" brass hose barb to connect to your 1/2" or 5/8" airline. The 101C - 1/4 HP piston pump includes 1 outlet hose. The 201C - 1/2 HP piston pump includes 2 outlet hoses. The 401C - 1/2 HP piston pump includes 1 outlet hose.